A client at an educational facility in Queensland required a redesign and upgrade to their existing sodium hydroxide storage facility. The facility—although not very old—was failing; causing major safety and operational concerns. This gave Fusion the opportunity to design, manufacture and install a sodium hydroxide plant with thermal protection precautions to prevent the sodium hydroxide from freezing in the cold environment. Fusion designed and fabricated two thermoplastic, dual walled, glass-wool fibre insulated tanks along with access platforms and heater elements. Photo of the existing tanks on site which the client requested be replaced. The entry point (a sideway manhole) was positioned too close to the base, causing stress concentrations in the wall of the tank. The welded sections of the thermoplastic UPVC inner liner had failed causing leakage into the FRP outer layer and subsequently leaking into the bund. The heater elements were installed too close together, causing a hot zone on the tank wall which subsequently damaged the inside of the existing vessel. Design two new safer and stronger PE thermoplastic, dual walled, glass-wool fibre insulated tanks complete with; platforms, safe access/egress and heating elements to prevent sodium hydroxide from freezing in the cold environment. Dismantle and removal of existing dual laminate fibre reinforced plastic (FRP) tanks, including supporting pipework and heater elements. Manufacture and design two 7,500L, PE100 double skinned tanks with a glass-wool fibre insulation layer between the inner and outer skins. The tank’s roof sections had to be designed with extra strength to be able to support live loads and maintenance personnel. All work carried out must comply to DVS, the German welding standards. Install: 2 x PE100 tanks including all supporting pipework, heater elements and galvanised outer frame. 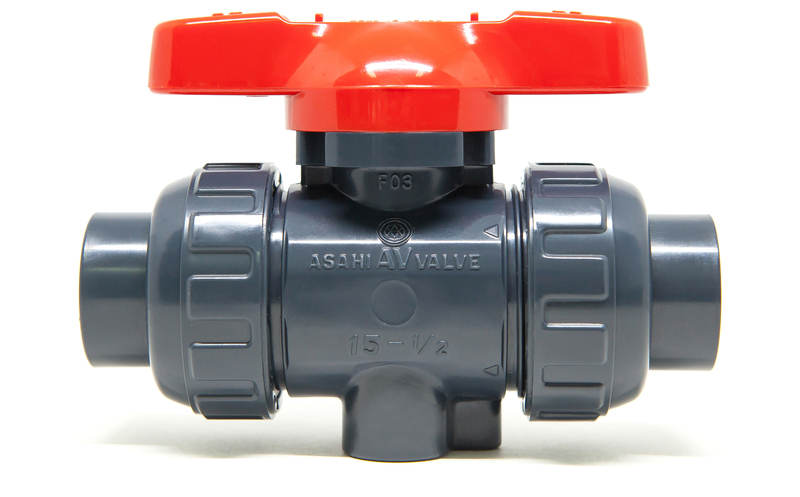 Installation of Asahi ball valves. The project was commissioned successfully and both our client and team where extremely happy with the outcome. This was the first time our engineer/design team and fabrication team had the experience of both designing and installing heater elements within a dual tank arrangement. They enjoyed the challenge immensely and gained a wealth knowledge and added skill. Our team is in regular contact with the client to check on the plant’s performance. At the six month mark there were no issues and the plant is in full operation. All original safety concerns have now been removed; the design of the new tanks allow for easier and safer access for inspection and maintenance tasks. Asahi ball valves were the valve of choice on this project. As the Australian distributor of Asahi valves and other premium specialised piping system products, our clients can rest assured that any additional valves or fittings they may require later on down the track can be supplied through us. Fusion can also assist with all technical support, product selection and supply / installation services. Projects such as this highlight the capabilities of our design, fabrication and installation teams. Interested in Fusion’s capabilities for your next project?